Jeff Byrd, one of the mainstay promoters in Bruton Smith's Speedway Motorsports empire, as head of Bristol Motor Speedway for 15 years now, will miss Sunday's Food City 500, a first for the ex-R.J.Reynolds sports marketing man since taking the reins here. Byrd, who is undergoing treatment for an undisclosed medical matter, says the specific issue has been diagnosed and doctors began treatment last week. "Things are going well,"Byrd said in a statement just released by the track. 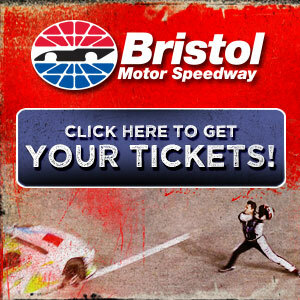 "It is going to be very difficult for me not to be at Bristol Motor Speedway this weekend to be with more than 150,000 of my closest friends. But I will be there in spirit, and as I have said before, I expect to see everyone in August." That would be Bristol's annual night Cup event. "Claudia (his wife)), the rest of the family and I have been overwhelmed by everyone's thoughts and prayers," Byrd added. "I hope they keep it up...and appreciate so many people coming to Bristol this weekend." Byrd's absence has not gone unnoticed in the NASCAR garage. Jeff Burton: "His absence this week is certainly being felt. He is one of those people that when you come to his race track, it is like coming to his house. He always wants to make you feel like you are welcome...like a guest at his house. I talked to Jeff. He has done an incredible job with the fans here and his presence will be missed this weekend. I know he will be back strong in the future and it will be good to have him back."